Marillion's eagerly-awaited, much-anticipated 17th studio album has now been released, and I have the deluxe boxed copy, complete with DVD and a beautiful book containing lyrics, art, photography, and the names of the first fans who prepaid the purchase (my name's not on the list--they all beat me to it, that's how keen Marillion fans are on making sure we have the opportunity to hear more, year after year). The DVD provides a great insight into Marillion's creative and recording process and motivation, the way in which they continue to adapt to technological advances and business pressures, and how they have stayed together, continually creating, for so many years. They don't always think alike, but they do work together and laugh together and together create the best-possible result--music that enchants, resonates, and calls you back, over and over again. It's not throw-away, sugar-candy music; you do have to invest some time listening, and it is a very rewarding process. There are hidden depths that are rarely heard the first time around. They hide and linger, waiting for you to find them. At the end of the DVD, I realised; I've just watched a couple of hours or so of the band members talking, and I cannot remember hearing one single curse-word or insult. How amazing/refreshing is that (thinks: a couple of the bands seen at Aftershock). This is not just English politeness; it's being articulate enough to be able to express thoughts, feelings, conflicts and concepts, intelligently and expressively. Why should this surprise me? It shouldn't. I feel like I know these guys, like part of my own family, and they are always welcome in my home. Gaza, the opening song, rovokes both an emotional (musical) and intellectual (subject matter) response. I covered the intellectual part earlier, in a sort-of review of Gaza. Musically, emotionally, it's one of the most intricate and expressive pieces that Marilion has ever created. A blending of Middle-Eastern rhythms and tones with rock and jazz and pure "Marillion-ness"; the anguish in H's voice is palpable. (Watch the DVD to understand the development of this song, its lyrics; the awareness of the controversy that it might generate, the research, and the decision to publish. I believe it was the right decision.) This is a beautiful piece of music, a symphony of structure and parts and sounds and emotions; at times raw, at times incredibly painful, and totally haunting. It's a Marillion masterpiece. Sounds that Can't Be Made: Music about sounds that can't be made? (Really? How is that possible?) It's about the unheard sounds, it's that something intangible, it's the part of the creation that bursts into life, "you'll hear it happen inside you"; it's that moment of true connection... The way Steve Hogarth describes it on the DVD reminded me of the anime character throwing a ball of magic fire. Soundlessly, wordlessly, it bursts open inside you, like a field of flowers in sudden bloom; totally beautiful and yet totally Marillion. (By the way, H, this is what you guys do all the time; it's that something that holds your fans so close, because it really works. We hear the sounds that can be heard, and we know the sounds that can't be made. You're doing it now. Don't ever stop.) The rhythm, bass, drums, keyboards... the backbone. And then the coda, the second part of the song takes you up, above this planet,"Seing all the planet's love floating in the air", with one of the most memorable Steve Rothery riffs ever. I just love it. Power: I first heard this, live, at the Fillmore in San Francisco, the final date of the 2012 USA tour. It's appeal is immediate: strong, seductive, driving, one for playing full-blast and then dancing to as if no-one can see you. (You are not looking at me, are you?) "You never knew power, did you?" I feel a Middle Eastern, Persian, Indian undercurrent here. It touches a memory, a reality, and this song is so strong, you should hear it from here, to there, right now. "But now you can't function, awake or asleep, as the meaningless world falls away from your feet..." I can have Power on repeat, all day, and it gets better every time. Montreal: it took me several listenings to really "hear" Montreal. At first, it felt very light, very simple: the recital of a diary, notes about the trip, the music somewhat ethereal... good music, but not the first on the album to grab me (that was Power) and not the one to make me think most (Gaza) nor burst into tears (Pour my Love). Dreamy, spaced-out... and about a trip to a city I have never visited, but which is home to many Marillion fans, and which often welcomes the band (weekend coming up soon). But then, after just a few hearings, suddently it all made sense. Somehow, Marillion have captured the dreamy, unreal, disconnected, never-world state of long-haul flights and time-zone confusion, and made it into beautiful, haunting music. (It's that Sounds that Can't Be Made thing again... the music is inside you, because it resonates with an experience, a memory, and brings the listener and the music in a way that very few musicians can achieve.) Another winner. Invisible Ink and Lucky Man, are, for me, and for now, connecting songs between the more powerful tracks; they have not yet stopped me dead or been put on repeat; and yet, they pop up in my head, happy reminders, when it's empty of thought: cheerful, positive, wistful. They are both growing... and I now have a habit of hoarding small pieces of paper, just-because someone may have written something, somewhere, in an ink that I can't yet see. I know both Invisible Ink and Lucky Mane will catch me unawares one day, because that's what happened with "Angelina" (Marbles) and "Radiation" (Radiation). The Sky Above the Rain: other reviewers, and Marillion fans, have said that this is the song that immediately made them cry: it wasn't the first for me (that was Pour My Love), but it's a close second. It is a moving, sad, somewhat-terrifying and yet hopeful song about a changing relationship, about being concious of that change, and about knowing that regardless of how dark and dismal a situation, the sun is still shining somewhere, up there, beyond the rain, beyond the clouds. And "maybe they'll talk..." and find the sun again, together. A haunting song, truly haunting. "The rain's below us." I hope we can all find a way to that sunny place again. It's true--it's always there, above the rain, and the rain is a transient thing. My perceptions of each piece of Marillion's music change over time, as the understanding of each song grows deeper. I've been there before. Ask me to review these songs again in a year's time. And then, again, in ten years. I can guarantee that as long as I'm still heere, and as long as my ears are still working, I'll be listening to Sounds that Can't Be Made. 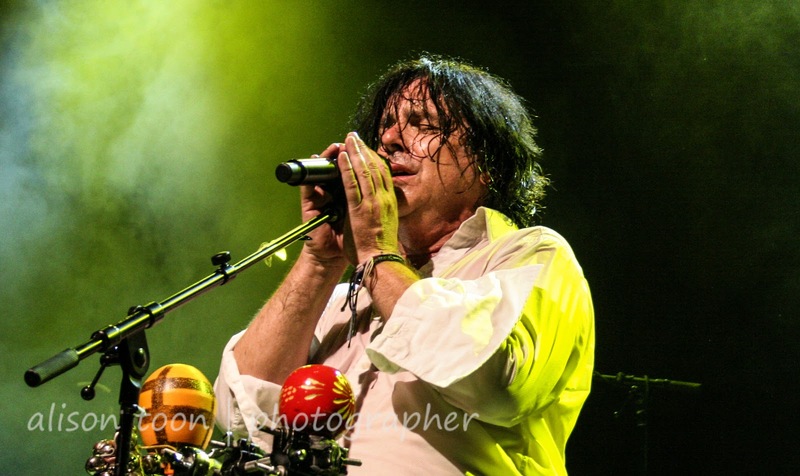 Go listen: http://marillion.com Also available through Amazon and on iTunes.